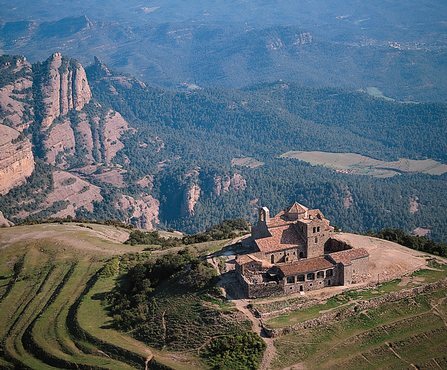 Yesterday was held in La Seu d'Urgell the second of days devoted to Rural Tourism and Web 2.0. As in the previous day, the first presentation was given by José Antonio Donaire who introduced us to Tourism 2.0Followed by a case study, this time was in charge of Tourism of the Seu who explained the operation of its online booking form. Following this presentation, Joan Giró, counselor explained the PIMESTIC Plan PIMESTIC. Early afternoon began my presentation, which introduced the Web 2.0 tools that can be applied to promoting Rural tourismAs well as key success factors of a communication strategy 2.0. Once I finished my talk, Joan Lopez, Creative studio Frame Works, Showed us how to move from 0.0, to 1.0, 1.5 and then to 2.0 (explained by voice is far less complicated). As in the case of Tortosa I think they have been good days and attendees feel that they have made good use of the day. If only we repeat in more destinations Rural tourism. These days, some of which I impart Masters in Digital Marketing classes are coming to an end and students must present their final projects Master. These projects can be in the form of research, in the form of Marketing Plan or as Business Plan. Most of my students choose the latter option. So tutorials in recent weeks are to finish finalize their projects, prepare executive summaries (Which although included at the beginning of a business plan is written at the end) and to prepare presentations to be performed before a court of the university. During tutorials this week I realized that for many of these students perform executive Summary It is not as easy as it seems to me. So for them, I wrote this post. A executive Summary It is a document provided as an appendix of a business plan that aims to summarize in a two-page, our business plan. Because our potential investor does not know if you're interested or not our business, and therefore do not want to read a document that can have more than 100 pages (you'll want most, spend 5 minutes to listen). Because we do not know our future investor (... could be a future competitor) and we're not delivering our business plan to anyone. How can you make an executive summary easily? The easiest and most effective way (or at least this is my opinion based on my experience) to make good executive Summary It is putting it in the form of FAQs (Frequently Asked Questions), ie, in the form of questions that may arise our potential investors and we will look to respond in three lines max per question. What questions poses a potential investor? How much money is needed to create it? How long it will reach breakeven (or neutral, or break even.. depending on where the investor is)? and What economic results will be obtained? What equipment is carried out? Why do you think you will succeed? These same questions are surely the court to hear our final Master thesis will also consider well worth the students to take well prepared and be able to answer without hesitation. In this video I explain how. Both examples are both perfectly valid to present to a court of projects to present to potential investors. Yesterday I had the pleasure of participating in Tortosa, in the first of the meetings devoted to Rural Tourism and Web 2.0. The day began with a luxury rapporteur: José Antonio DonaireWhich introduced us an introduction to Tourism 2.0. Then we saw a case of application of tools 2.0 by Jordi López, coordinator Nautical Sant Carles de la Rapita and after him, the day continued with a talk on the Plan PIMESTIC given by Josep Maria Galis. After my talk, he took Joan Lopez, Creative studio Frame Works, Who showed us how to manage a blog and how to relate the traditional offline promotion via the web and via online tools 2.0. Overall, I think the audience was satisfied with the day and that was a good idea of ​​how you can use Web 2.0 to promote a business Turismo Rural or tourist destination in a rural environment. The questions raised by the attendees were numerous and gave rise to debates and analysis of different proposals. Something really enriching. If you are interested about Rural tourism one to Web 2.0, do not miss it! During this June I have the pleasure of participating in two initiatives to raise awareness the tools of Web 2.0 to companies Rural tourism. Both sessions are part of a project consisting of several workshops that aim to publicize Digital Marketing techniques to the tourism industry, and both are organized by the Higher Education Foundation of Olot. If you are interested about Digital Tourism Marketing and in particular the implementation of 2.0 tools to Rural TourismNot miss them, see you there. Both events are free entry, but we need to confirm attendance as seating is limited. Please contact the organizers if you want to attend.